During long warm summer days, there’s nothing worse than having a cold beverage lose its crisp temperature. Best way to ruin your day out or BBQ with friends is to not have ice cold drinks. 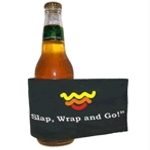 Stubby holders are best way to keep the internal temperature of the beverage longer. 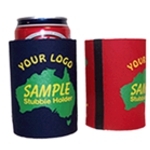 Without stubby holders drink acclimates to the surrounding temperature too quickly. 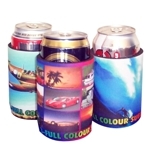 Have them single colour or full colour printed but have them if you want to keep those beverages frosty cold? 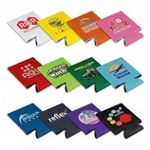 We offer a wide range if stubby holders and other types of neoprene beverage heat protectors.